Grew up... in Scotland, during the 14th century. After King Alexander III died without heirs, it's been a dark time to be a Scot. Eager to capitalize on the power vacuum, the English King Edward “Longshanks” has declared himself the ruler of Scotland, and begun an oppressive reign over Scotland. Ruthless and powerful, King Edward has unquestioningly crushed all Scottish resistance, hanging William Wallace’s father and brother when they dared to speak out against him. With his father and brother dead, William’s Uncle Argyle whisked the boy away to Rome, where he could grow up in peace. Living... for revenge. Upon his return from Rome, William fell in love with his childhood friend, Murron, whom he tried to marry in secret to avoid the rite of “Prima Nocta” – the privilege invoked by English lords that entitles them to sleep with a woman on her wedding night. When their secret wedding was discovered, Murron was captured and executed. Devastated, William swore vengeance, and now he won’t rest until he’s pommel deep in English and they’re expelled from Scotland forever. Profession... warrior and leader of men. William Wallace’s battlefield prowess is almost supernatural, but even he can’t fight the English by himself. He’s working to rally the remaining Scottish clans and march them to war against the English– if they all stand together, they might be able to bring peace and freedom to Scotland. Relationship Status... widowed, but still devoted to Murron. King Edward’s daughter-in-law, Princess Isabelle, finds herself falling in love with Wallace, but despite her beauty, Wallace cannot love her more than he loves vengeance against those who took his beloved Murron. Challenge... leading a fractured nation against the extremely powerful British. 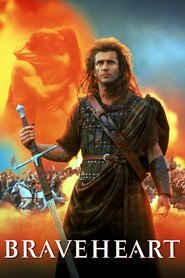 Even if William Wallace manages to unite the clans of Scotland, he will still be outnumbered and outmatched against one of the most powerful militaries on Earth. Armed only with courage and patriotic fervor, it will take dedication– and thousands of lives– for the Scots to defeat their oppressive masters and claim their freedom. Personality... courageous, righteous, and seemingly unstoppable. Stubborn and fearless, William Wallace is perhaps the only living Scot who could hope to unite his fractured nation. A boon to his friends and a terror to his enemies, Wallace won’t stop until all traces of the English are eradicated from Scotland. William Wallace's popularity ranking on CharacTour is #394 out of 5,000+ characters. See our top-ranked characters and read their profiles.